Thanks so much to our student Rachel for writing this Pandarow Review. Pandarow, a Chinese learning App and website are changing the narrative as it helps its users with a wholesome experience in learning Mandarin Chinese. The Pandarow App is an innovative Chinese learning platform that facilitates its users to learn the language fast and in an enjoyable manner. The App and website help you learn Chinese easily, efficiently and with great fun. I found it a great supplement to my studies at LTL, and even more so now I’m back home learning Chinese by myself. …So, what do the App and Website entail? The App is available for both Android and iOS meaning that it is available for everyone with a smartphone to use. The App is interactive, easy, and fun to use. The components found in the App include the Mandarin Chinese learning platform, a dictionary, articles about Chinese culture, exchange forum for live interactions with native Chinese speaking locals. The App also has a platform that will assist the learner to write Chinese characters. Both the App and website give the user access to Chinese courses and preferably the best online Pinyin courses. The curriculum is arranged in four levels to target both beginners and learners at an advanced level. Beginners are able to advance faster to more progressive levels. The learning platform enables you to listen to the word your learning, use it in a sentence and show you how to write it. With this approach, the learner is able to grasp the correct intonation, memorize the meaning then write it down using the correct characters. This is a more wholesome approach to learning a new language. The platform makes it easy to practice and review what you’re learning. It enables the user to hear a word, let them record themselves saying it and give them feedback whether they pronounced the word correctly. The approach is as personal as having an actual teacher by your side whom you are capable of asking questions and getting direct feedback. As if that’s enough, you can still interact with native Chinese locals and ask them questions. The forum helps you improve in your Mandarin Chinese or Pinyin. The App’s dictionary is an advantageous tool for learners using it. The Chinese dictionary is aided by audio pronunciation which helps learners learn essential words they can use in conversations. It is important to note that the dictionary is not one-sided as it supports searches in Chinese and Pinyin. Despite being used by people learning Chinese, the Chinese dictionary can be utilized by Chinese natives to learn Grammar. It also supports being searched by Pinyin. Therefore, translating from Chinese to Pinyin or vice versa is possible. 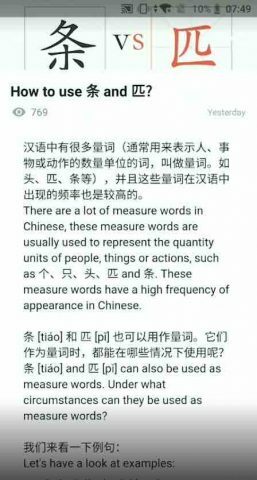 Apart from defining, the dictionary explains the use of Chinese characters and words in sentences. The audio assist is not done by a computerized voice. It is activated by an interactive voice recording which means the audio assist uses prerecorded human Mandarin voices. This is key to bringing out the correct voice intonation and pronunciation. To make learning using the tool easy, the Pandarow Chinese dictionary gathers thousands to millions of sentences to be used as examples for learners. Such sentences are essential in helping the learner get the concept and internalize it thus easy to remember. 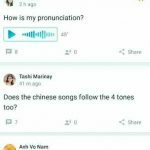 In general, both the App and the website will help you learn and practice your Chinese pronunciation as well as check whether you are saying it right. 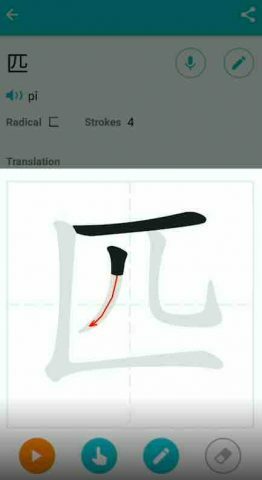 Pandarow also helps you learn how to write Chinese characters by assisting you to practice the strokes and radicles. Ask Panda is another interactive tool available in the Pandarow App and website. First, to make you all natural, you can generate a Chinese name for yourself. You can use the name to interact with other Chinese students all over the world, make friends and learn together. Apart from other students learning the language or using the App, learners can also interact with native Chinese speakers and get real-time responses to questions they have asked. The platform is not only meant for fun as learners could ask professional questions related to HSK accreditation especially when they are preparing for a test. Pandarow has a competitive edge over other learning platforms. Its App is free and does not include the annoying Ads found in others. It has high-quality courses that are up to par with HSK. The inclusion of an interactive forum and dictionary makes learning fun and easy. Just this year, the APP added Spanish as a display language. The platform offers more knowledge about Mandarin Chinese and China from the rich content.